Building the Beloit Wisconsin Area - Genesis Construction, Ltd. When you're looking for a Beloit area builder that has stood the test of time, providing the finest in Home Additions, New Home Construction, Remodeling, Vinyl Siding and Windows, as well as Decks - you really need to consider Genesis Construction. The reputation we've developed over the years is in large part due to our Quality-Committment, Honesty and Integrity. As a Professional Home Builder and Construction company rooted in the Beloit community, Genesis Construction has excelled by providing our no-pressure, competitively priced free estimates - backed by our outstanding craftsmanship. We are your "One Stop Shop" for all contracting, construction, and insurance repair and restoration services in the greater Beloit Wisconsin area. Our goal is to minimize primary and secondary damage by prompt thorough action that restores your property back to pre-damage condition. We realize that our growth and continuing success comes from satisfying our many wonderful clients. So we go the extra mile to answer your questions and help your building or remodeling project be as cost effective as possible. Our Priority is that your project is done correctly and completed on time. Our integrity simply does not allow us to cut any corners. We're confident you understand and appreciate this! Safety to you and our workers is of the utmost importance! We make sure our job sites are safe, and that our craftsmen are respectful to you and your property. For your protection, Genesis Construction carries workers compensation insurance on every person that works on your project. And, Make Sure to View our Photo Gallery. You can view lots of photos of different projects we've worked on... including some of our current construction projects. This is a very popular section of our website, and we encourage You to take a look for yourself. 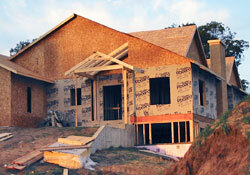 CLICK HERE to view our Genesis Construction Photo Gallery. and schedule a Free, no-obligation estimate.